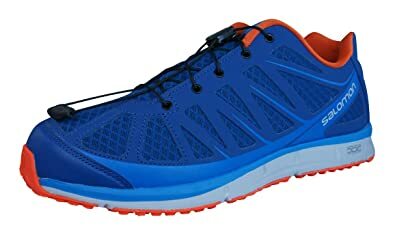 Are you looking for trail running shoes that are comfortable and lightweight for trail running? The Salomon Kalalau trail running shoes is what you are looking for! It is a breathable and lightweight shoe that is packed with innovative technologies needed for light trail running. This neutral running shoe generally received positive praises from a lot of runners because of its design, functionality, and comfort. First of all, do you know how to choose a running shoe? If not, our article about how to choose running shoes based on your foot type may help you. Salomon was founded in 1947 in the heart of the French Alps and the birthplace of modern alpinism. Driven by a passion for skiing and design innovation, Francois Salomon and his son George designed and perfected much of the first modern ski equipment. During the following 60 years, Salomon’s commitment to innovative design and passion for mountain sports created a vast range of revolutionary new concepts in boots, skis and apparel and brought innovative solutions to footwear, apparel and equipment for hiking, adventure racing, mountaineering and trail running. Through performance-driven design, Salomon enhances mountain sports by converting new ideas into action and expanding the limits of possibility. 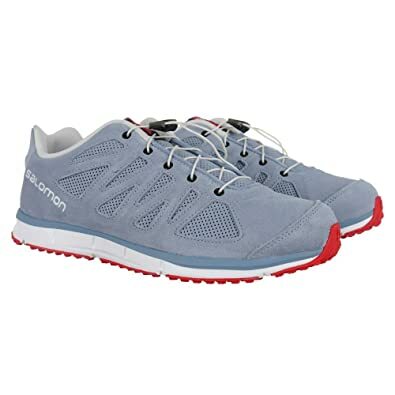 Salomon Kalalau Running Shoes are Lightweight, breathable and cushioning, the Salomon Kalalau men's running shoes transition easily from a day hike or jog to a social gathering with friends. Salomon takes classic hiker features like a traction sole and bungee lacing system and translates them into a lightweight, everyday sneaker.